In the Gospel of Matthew Jesus commands His apostles: “Heal the sick, raise the dead, cleanse the lepers, cast out devils: freely you have received, freely give.” (Matt 10:8). Therefore, given Jesus’ command, it is really no wonder then that many of the Saints were given the grace by God to perform extraordinary miracles, even raising the dead back to life. This article will focus on the raising of the dead. Beginning with the Apostles then we read in Acts 9:40 how Peter raised Tabitha from the dead (Tabitha is Dorcas in Greek), and in Acts 20:12 we read how St Paul raised Eutychus from the dead. 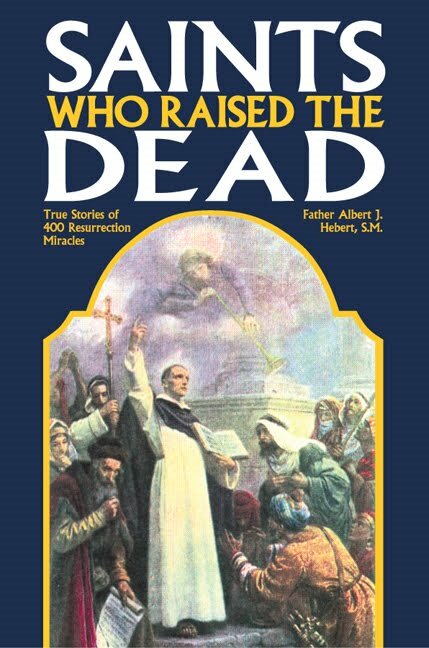 After the Apostles, the Saints continued to follow Jesus’ command to “heal the sick and raise the dead.” The excellent book “Saints Who Raised The Dead” (Tan Books, Father Alfred J. Hebert S.M., 2004) documents over 400 true stories of resurrection miracles in the lives of the Saints. Some of the many Saints listed in this book are: St. Francis of Paola, Venerable John Baptist Tholomei, St. Bernardine of Siena, St. John Capistrano, St. Francis of Paola, St. Joseph of Cupertino, St. Peter of Alcantara, St. Dominic, St. Ignatius Loyola, St. Philip Neri, St. Paul of the Cross, St. John Bosco, Blessed James Salomoni, St. Agnes of Montepulciano, Blessed Constantius of Fabrino, Blessed Sadoc and Companions, Blessed Mark of Modena, Blessed Ceslas, Blessed Augustine of Bugela, Colomb a of Rieti, St. Rose of Lima, St. Martin de Porres, St. Francis Solanus, Marianne de Jesus of Quito, Blessed Sebastian of Apparizio, St. Bernard of Abbeville, St. Stanislaus of Cracow, St. James of Tarentaise, St. Cyril of Constantinople, St. Peregrine, St. Philip Benizi, Bl. 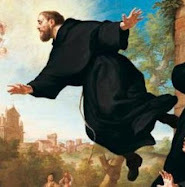 Peter Armengol, Blessed Eustachio, St. Gerard Majella, St. Charbel Makhlouf, St. Padre Pio, St. Margaret of Cortona, St. Felix of Cantalice, St. Rose of Viterbo, St. Pacific of San Severino, St. Hyacinth, St. Louis Bertrand, St. Francis Xavier, St. John Francis Regis, St. Andrew Bobola; St. Francis Jerome, Brother Antony Pereyra, and St. Patrick, the Apostle of Ireland, to name just a few. 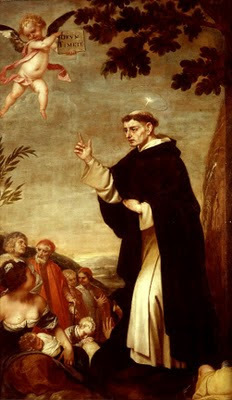 But here we shall focus on just one of the many Saints who raised people from the dead- St Vincent Ferrer. 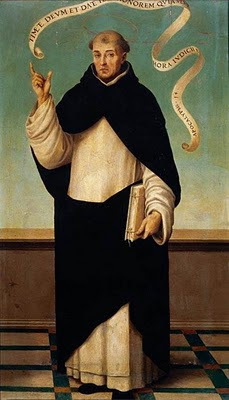 One of greatest miracle workers-thaumaturges in the history of the Catholic church was the Dominican priest St. Vincent Ferrer (1350-1419). He moved in the limelight before both ordinary people and the great of the world. He once converted 10,000 Jews at one time by marching right into their synagogue and preaching to them; the Jews turned their synagogue into a Catholic Church. So great a missionary was St. Vincent Ferrer that he can only be compared to the 12 Apostles. His accomplishments were incredible and rare in the whole history of the Church; his life story contains one amazing story after another, many of these are documented in the book “St Vincent Ferrer –The Angel of the Judgment” by Father Andrew Pradel, O.P. When St. Vincent Ferrer was 46 years old, suffering from a grievous illness, Our Lord appeared to him, accompanied by St. Francis and St. Dominic; Our Lord said to Vincent, among other things, "Arise, then, and go to preach against vice; for this have I specially chosen thee. Exhort sinners to repentance, for My judgment is at hand." Our Lord told St. Vincent that his preaching before the coming of Antichrist would be for mankind a merciful occasion of repentance and conversion. During this vision St. Vincent was immediately cured. Two years later, in 1398, he was given permission to begin his apostolate of preaching. St. Vincent travelled all over western Europe preaching penance, attracting enormous crowds, and followed by thousands of disciples. He converted St. Bernardine of Siena and Blessed Margaret of Savoy. Vincent had the gift of languages; preaching in his Valencion idiom he was understood wherever he went; and in conversation he spoke French, Italian, German or English as fluently as his native tongue. 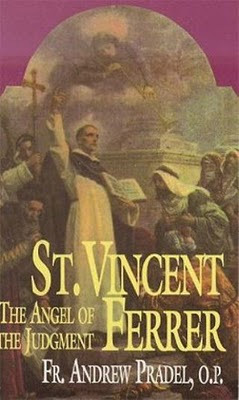 St. Vincent Ferrer identified himself as "The Angel of the Judgment" and preached as if the end of the world were near. Some would say that since it did not end, Vincent, at least in that respect, failed as a prophet. It would seem there is a simple answer: All such prophecies or predictions by individuals are contingent upon reform and penance. Through Vincent's thunderous words and the results of his preaching, the end of the world was simply delayed again. Many who are informed in the ways of God, of prophecy and reparation, believe this has probably happened more than once in the history of the world. To cite two examples from Holy Scripture: Jerusalem was spared again and again before its final destruction by the Romans and also the city of Ninevah was spared through the conversion of the people due to the preaching of Jonah the prophet. Some would consider it a conservative estimate that St. Vincent Ferrer converted 25,000 Jews and 8,000 Moors; his total number of conversions was around 200,000 souls- among them Moors, Jews, heretics, and apostate Catholics. At Toulouse he spoke on the Passion for six hours without a break before a crowd of 30,000 at the packed Place St. Etienne. When he cried out, "Arise you dead, and come to Judgment!" the whole crowd fell on their faces begging for mercy. Learning about the many other wonders of St. Vincent makes it easier to accept the accounts of his death-to-life miracles. The Acta Sanctorum records 873 miracles performed by the saint, but there were actually many more. In 1412 Vincent himself told a crowd, "God has wrought in His mercy, through me a miserable sinner, three thousand miracles." After that Vincent lived seven more years, which was a period of even greater miracles. The Bollandist hagiographers tell of 70 persons who were delivered from diabolical possession by St. Vincent Ferrer. He had such power over devils that it was often enough for him to touch a possessed person for him to be freed; at other times, a possessed person would be freed from the devil merely upon going to the same place as where Vincent was or even simply when Vincent's name was pronounced. St. Antonius (Antoninus), Archbishop of Florence, another learned Dominican about 30 years old when Vincent died, stated that St. Vincent had raised 28 persons from the dead. But others claimed that St. Antonius' estimate fell far short of the actual number raised. Perhaps there is some confusion in distinguishing those Vincent personally raised during his life and those raised through his intercession after his death. The author Fr. Andrew Pradel states that St. Vincent Ferrer "resuscitated more than 30 persons during his lifetime." Near Palma of Majorca St. Vincent Ferrer stilled a storm in order to preach from a wharf. At Beziers he stopped a flood. At the gates of Vannes he cured a great number of the sick. At Guerande he delivered a man possessed by the devil and more dead than alive. In France he had the British victors at Caen praying together with the defeated French for a sick man, who was then cured--and all of them, enemies or not, shouted for joy. At Leride he cured a cripple in the presence of the king. 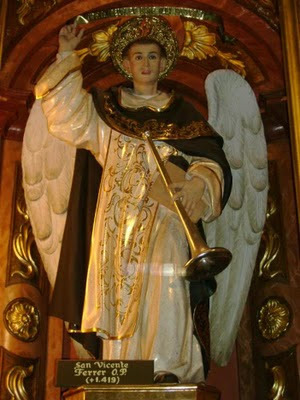 St. Vincent Ferrer is often pictured with wings. Multitudes of people have witnessed him, in the middle of preaching, suddenly assume wings and fly off to help some suffering person; he would return in the same manner and continue preaching. On some occasions, when St. Vincent was exhausted, he would commission somebody else to go perform miracles instead; the helper would then do so. Vincent once said to a novice, Alphonso Borgia, "You will become pope and will canonize me." And years later that novice, then Pope Callixtus III, did exactly that. Vincent also told St. Bernardine of Siena that he (Bernardine) would be canonized before himself--and so it happened. Once a mute woman signed to him, and then she spoke, asking for speech and bread. He promised her bread, but took back her speech, saying that she would make ill use of it. He made beautiful an ugly woman who had been beaten by her husband for her looks. We learn from St Vincent Ferrer that one must never mock the gifts God has given to His saints. As has happened in similar cases, on one occasion a boy pretended to be dead, while his friends snickered. St. Vincent leaned over and shook-a corpse! Vincent said: "He pretended to be dead to amuse you, but evil has come upon him; he is dead!" A cross was erected to commemorate the event. Happenings like that can save many souls by instilling in them a healthy fear of the Lord. "You no longer have anything to gain by lying. Is this man guilty? Answer me!" The dead man sat up, then spoke the words: "He is not!" As the man began to settle down again on his stretcher, Vincent offered to reward him for his service. He gave him the opportunity of remaining alive on earth. 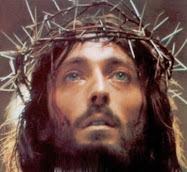 But the man re-sponded, "No, Father, for I am assured of salvation." With that he died again as if going to sleep, and they carried his body off to the cemetery. In another miracle credited to Vincent, the Venerable Father Micon is reported as claiming that a number of witnesses, gathered at Lerida before the Church of St. Jean, saw Vincent encounter a corpse there. With the Sign of the Cross Vincent returned the corpse alive to its feet. The Fathers of the convent at Calabria gave guarantees of this miracle. In another report a priest judged a child to be dead. The child's whole body was mangled and broken. A vow was made, and the child was restored to life. It is not known for certain whether this is the same child as that in the following miracle. Fifty years after Vincent's death, young Jean de Zuniga, son of Don Alvar de Zuniga, Duke of Placensia and Arevola, and of his Duchess, Leonor de Pimentel, died at the age of 12. The Duchess' confessor, Jean Lopez de Salamanque, O.P., counseled the noble lady to invoke his fellow Dominican, the newly canonized Vincent Ferrer. The mother made a vow to build a church and convent in St. Vincent's honor. As soon as she had formulated her vow, the boy came back to life. This boy became the Grand Master of Alcantara, the Archbishop of Seville, and a Cardinal. The Duchess became very devoted to Vincent and fervently desired that his life, virtues, and miracles be written about. When a grand ceremony was held at the newly finished cathedral, the Duke and Duchess presented their son, and the raised boy then understood all about his resuscitation. On the feast day of St. Vincent Ferrer at that same cathedral, the scheduled preacher became ill and did not appear. But a wonderful, charming, unknown preacher ap¬peared from nowhere-and mysteriously disappeared after giving his sermon. Many believed it was Vincent repaying the honors given him. On an occasion when St. Vincent was preaching to thousands at Salamanca, he suddenly stopped and said: "I am the Angel of the Apocalypse and am preaching Judgment!" Then he directed: "Some of you go near St. Paul's Gate, and you will find a dead person borne on men's shoulders on the way to the grave. Bring the corpse hither, and you shall hear the proof of what I tell you." The men went on their errand, the multitude waited, and soon the bier was brought with a dead woman upon it. They raised the litter and set it up so all could see. St. Vincent bade her return to life, and the dead woman sat up. "Who am I?" Vincent asked her. She answered: "You, Father Vincent, are the Angel of the Apocalypse, as you have already told this vast assembly." In the case of the woman, after her testimony she died again. In another almost identical account, this time it was a man, Vincent asked him which was his preference, to live or to die again. The man asked to live, and St. Vincent responded, "Then be it so!" The man is reported as having lived for many more years. There was a rich Jew of Andalusia, named Abraham, who began to leave a church in anger while Vincent was preach-ing. The Jew did not like what he was hearing. As some peo¬ple at the door opposed his passing through, St. Vincent cried out: "Let him go! Come away all of you at once, and leave the passage free!" The people did as he ordered, and at the instant the Jew left, part of the porch structure fell on him and crushed him to death. Then the saint rose from his chair and went to the body. He knelt there in prayer. Abraham came to life, and his first words were: "The religion of the Jews is not the true faith. The True Faith is that of the Christians." In memory of this event the Jew was baptized Elias (in honor of the prophet who had raised the boy from the dead). The new convert established a pious foundation in the church of the "accident" and the miracle. Bishop Peter Ranzano's account was used for this version of the miracle. The father of a certain child had given Vincent lodging while he was on a missionary journey. His wife, a virtuous woman, suffered from bad attacks of nerves, and at times was close to madness. Upon his return from hearing one of Vincent's sermons, the father came upon a terrible tragedy. His wife had gone mad, cut their small son's throat, then chopped up the boy's body and roasted a portion of it, which she then attempted to serve her husband. When he realized what had happened, the man fled in horror and disgust to St. Vincent Ferrer. Vincent told him that-as in the case of the crushed Jew-the tragedy would be for the glory of God. St. Vincent went with the father back to the home and prayed as he gathered the bloody pieces together. 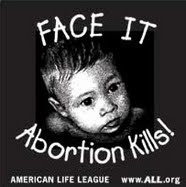 He said to the father: "If you have faith, God, who created this little soul from nothing, can bring him back to life." Vincent knelt and prayed. He made the Sign of the Cross over the reassembled body. The pieces became united together, the body came to life again, and Vincent handed over to the father a living child. This event is depicted in a painting by Francesco del Cossa in the New Picture Gallery in the Vatican.Bishop Ranzano claimed this as one of the miracles submitted in the canonization process for S1. Vincent Ferrer. Some may be surprised to know that he above miracle is not without some real, though lesser, counterparts. St. Francis of Paola restored a lamb from its mere bones and fleece, and in the palace of the King of Naples he revived an already-cooked fish; also, St. Philip Benizi restored a child partially devoured by a wolf. A similar wonder was worked for a young man who was with his parents in a group of pilgrims on their way to the famous shrine of Santiago (St. James) de Compostella in Spain. They stopped at La Calzada, where the young man was falsely accused and hanged. The poor bereaved parents continued their pilgrimage, and on their return journey were astonished to find their son still alive eight days later. Perhaps it was a reward for their tears and for faithfully continuing on to the shrine in hope, rather than succumbing to rebellion and grief. But the story goes beyond this wonder. When the lad's mother rushed to tell the magistrate (he was at dinner), the magistrate said, "Woman, you must be mad! I would as soon believe these pullets which I am about to eat are alive as that a man who has been gibbeted for eight days is not dead." At his words the pullets on the dish rose up alive. There was a great procession with the live birds to the shrine of St. James at Compostella. The Bollandists relate this miracle, as do many other authors. And there have been other miracles similar to it in the lives of the Saints. One should note that none of these miracles were performed for mere sensationalism, which the saints despise. They were worked for various good purposes, especially the conversion of sinners and the strengthening of faith. As St. Vincent told the bereaved father, miracles are worked for the glory of God. This was also stated by Christ at the grave of Lazarus, and to His Apostles. The saints' powers are of course limited by God, to whom all power belongs. Otherwise, with unrestricted powers, the saints could be "as gods." The hagiographer Henri Gheon relates that Pere Fages, a patient researcher, found and visited the house of the last related miracle of Saint Vincent. He described the room, the placement of the oven, and the lower room, where a part of the child was served at table. The place had not changed since the fifteenth century. A chapel stands there now and two inscriptions, one inside and one out, attest to the truth of the miracle. St. Vincent Ferrer died at Vannes, Brittany, France in 1419, and the canonical process at Vannes brought to light an incredible number of wonders, including a surprising number of resurrections from the dead. In the French work- “Histoire de St. Vincent Ferrier” by Pere Fages, O.P., there are a number of accounts of the dead raised through St. Vincent. Additionally, St. Antonius, O.P., a contemporary of Vincent, said he raised 28 from the dead, however others claimed this count fell far short of the real number. Irregardless the fact remains that St Vincent Ferrer brought back to life at least two dozen people, all for the greater glory of God and the conversion of sinners. -St Vincent Ferrer, pray for us! -“St Vincent Ferrer –The Angel of the Judgment” by Father Andrew Pradel, O.P., Tan Books. I CERTAINLY WISH THAT WAS TRUE (NOT DREAMED UP), IF JESUS WALKED EARTH DOING IT, HE SHOULD CONTINUE DOING IT FOR HIS GLORY & TO HELP SO MANY GRIEVING LOST FAMILIES! LORD, SHOW YOUR SPIRIT, RESURRECTION, NOT THRU FAKE PREACHERS! 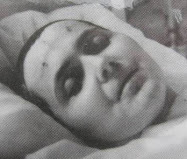 now i know now about st. vincent ferrer, o please help the mother of my uncle's wife who has been suffering for weeks. O please grant us a miracle, saint vincent ferrer. St Vincent Ferrer, pray for us! I am lucky to have met a saint as a young teenager who visited us one time at home. My mom met her at a prayer group in the Philippines. She has a gift of healing and was able to raise a dead person into life, too. She's so simple and humble. She was able to perform numerous miracles because of her strong faith in Jesus. I seek your healing thru the intersecession of St. Vincent Ferrer. Petions include Chest pains,Developed heel spurs, sore legs, Fibroids,financial hardship,please heal our entire family tree dead and living till Adam and Eve. Poor memmory and hurtful experiences. I need to successed in my health care trainning and that God's will be manifested in the use of hands and wisdom of Holy Divine origin. May I be good example in all I do. Praying for the dead and thoes about to die. JMJ/SAG/IHS God love you all. May receive the blessing of the United Hearts of Jesus and MARY. Dear St Vincent Ferrer. I pray for all my chilren especially my second daughter. Bring her back to the faith and convert her from sin. Amen. Saint Vincent Ferrer please grant Fed and I a miracle. I pray for our blessed union, guided by Jesus, Mother Mary, all the saints and angels. Please grant him conversion-rid him of his vices. I know that you will grant me this grace, thank you Saint Vincent Ferrer. Irregardless is a word commonly used in place of regardless or irrespective, which has caused controversy since the early twentieth century. Most dictionaries list it as "nonstandard" or "incorrect". The origin of irregardless is not known for certain, but the speculation among references is that it may be a blend, or portmanteau word, of irrespective and regardless, both of which are commonly accepted standard English words. Just click "Next Slide" after every story of a Saint. Enjoy reading. God bless. Jesus and Mary loves you. Dear jesus i thank you for the life that am living,I thank you for your mercy that have lead me to come across this wondrous event of ST vincent ferrer. Lord i believe that if you can raise up a dead body which came into contact with Elisha's bones than you can heal me from all my problems through reading this wonderful event of St.Vincent ferrer.....Thank you Lord Jesus and Your Holy Spirit take control in Me. Please pray, today, at 11 am. Our church's altar server--a 10 year old boy--is having a MRI that will tell if his radiation treatments have worked, and whether or not a tumor is gone (two smaller ones are no longer seen)-- it's with urgency that there is improvement, as the doctor's may stop treatments if they feel there is nothing they can do. Please pray that it vanishes--and no tumors ever reappear. Please pray for a miracle. Thank you. St Vincent Pray for us who are sinners of this world. Give us the salvation from Sin.You inspire us to be faithful to the Lord Jesus Christ. St.Vincent Ferrer i have given my life to Jesus today and ask that you strengthen my faith and be by my side always. Thank you for this article.The life of Saint Vincent Ferrer is beautiful ,amazing and lovely.And Thank you God for Saint Vincent Ferrer and All the saints. St Vincent Ferrer, Please intercede for me and bring back my daughter to life, you know I have lost a son 5 years ago and she is the last one. I believe in my heart that she will resurrect in Jesus name, Amen and Amen. I have faith that she will come back to life. I have sought employment stability all my life. This has created great anxiety disorders. I have a family to support and I promise to make the best of your prayers. I will be a humble servant of Christ. Saint Vincent Ferrer, I pray in Jesus name and by His power given to you to perform miracle in His name, to miraculously heal my mom Marie from her cancer as she is schedule for surgery on february 11th. Let God's glory be manifested all for His greater glory. What happens to the people the are raised from the dead? Do they eventually die again? Or are they still alive? Some who are miraculously revived return only long enough to accomplish some task: to exonerate an innocent man who has been accused of a crime, to convert the sinners who witness this miracle, or to receive the Sacraments. After this, they return to the grave. Others resume their mortal lives. They shall die again just as those who are medically revived from clinical death will unless, like any of us, they survive to see Christ return in glory. Now I am convinced that there are some alive today who will live to see the Second Coming and pass into eternity without dying, but they are few in number, for before the Second Coming shall be a time of great distress such as has never been before, and most shall die from the plagues which God shall inflict upon this world as well as from the abounding wickedness that shall make many murder victims and martyrs. Over and over, the Book of Revelation tells of how vast multitudes will refuse to repent of their many sins, including murders. The faithful will be persecuted with a fierceness greater than the worst persecutions until this time, and vast multitudes of the faithful will be burned alive, starved, or beheaded. Because of this, God said of those days, "Men shall be rarer than gold of Ophir." So yes, "We shall not all sleep," but most of us will, because only a few will be able to survive this time of great distress that is coming upon the whole Earth. I myself do not expect to survive the time of great distress, for I am scrawny, and I would probably starve during those days if the wicked do not burn or behead me first. St Vincent ferrer pls pray for us, especially my country Nigeria that peace be restored to my mother land. St. Vincent Ferrer,please heal and deliver my elder sister Grace from sickness and infirmities, amen. Also grant divine open doors,connections favors and marital breakthrough in my family and give us the grace to live a saintly life and make heaven at last.Amen. St vincent ferrerr please do intercede and pray to god almighty to help me see the miracle of god happen in my life too.oh jesus you have showered lot of blessings in my life.thanx and prqise to god almighty. St. Vincent Ferrer please help bring my dear friend Jean back healthy and whole and strong. Please help. St Vincent.. pls perform miracle to cure my autistic son Adrian who is suffering gravely from loneliness and bad habits. Please help me. I need her help please help me please. I am a person who is only happy when I can make people around me happy, and share whatever I have, being incapable to do so because of my sadness makes me even more miserable. ST Vincent Ferrer please pray God, Jesus, the Blessed Mother Mary and all the Saints to bring back to life my son Paul Sakal. the impact of his loss is emmense. and please cure his brother Michael from Parkinson's. What you are asking God for is something that He very rarely grants---and the simple reason for this is that to God our lives here on earth is simply a temporary pilgrimage to OUR REAL HOME, which is with God in heaven for all eternity. Why then do you want to bring your LOVED ONE back here to earth, when he/she has passed unto eternity in his true and everlasting home? Our time here on earth is only temporary---how many years of life do you have remaining? Maybe 20 or 30 years, if even that much? --and then what? Well, I will tell you then what---then you will enter into eternity to hopefully be with Jesus and your loved one, and all the rest of your family members forever. So why then do you treat this present earthly life like it is your true and permanent home, when this life here on earth is passing? Do not hold fast and cling to this life, begging God for your loved ones return, but look forward to your eternal life with God in heaven where you will once again be reunited with your loved one, and the rest of your family for all eternity. So for now, live a good and holy life, repent of your sins asking God to forgive you, and place your trust and hope in God so that when your time here on earth ends, you may join with your other loved ones to be with God in heaven. My father has been declared dead 21 hrs before. THE COMFORT OF SUCH A TERRIFIC PERSON,GOD CAN HAVE HIM WHEN HE IS FINISHED WITH HIS LIFE CYCLE ON EARTH.OUR FAMILY IS FALLING APART WITHOUT HIM. I will pray for the return of Paul to your family. I will pray to Jesus and ask for help from st vincent and all the angels and saints. I ask for your prayers for my son Josh. It has been 8 and a half long weeks since his death. I do not believe it was his time. I feel like his life was taken by satan. I have faith there will be a miracle for us. May your prayers stay strong and your faith even stronger. Good bless you and your family! Thank you Cindy for praying for the return to life of our Paul, he is not back yet but I am not giving up he is just too valuable to our whole family which is falling apart without him.and I keep praying for his return to life fully restored in body spirit and soul to the beautiful human being God created for us, I am praying asking seeking and knocking everyday hoping to reach God's heart, through Jesus Christ and our Blessed Mother Mary and St Vincent Ferrer, I visited Vannes the cathedral where St Vincent Ferrier is with Paul but didn't know about St Vincent Ferrer, when Paul comes back I will return to thank him . Gostaria muito de ter este livro "Saints who raised the dead", mas não sei onde comprar? Hey these things are only reported to us not just to pray to them to this for us but to also believe that it can be done, which therefore means that you can do thesame if you only believe...I've prayed for blind eyes and once witnessed a disappearance before and so I believe it's possible if we would only believe and do what they did by praying as they prayed and not neccessarily depepnding on them to see this done...I wonder how our personal walk with God is..If you search you'd realise these saints were just mere guys nobody would notice in their time until they spent adequate time with the God they loved intensely, not for a miracle but to enjoy divine union with their lover and master.If we could do the same, we would experience a most remarkable miraculous manifestations..some of our family members would not even have to die in the first place.I tell you this with all humility of heart.Many times I have seen blind eyes get open and several terrible diseases get healed and the saints are a great inspiration..
god, please bring my father. He has been cremated. Lord, please beg mercy to our family. We have been shattered. Oh Lord!! beg your kindness, shower your blessings on us. Oh St Vincent Ferrer, please pray for the return of Kirby back to life here on Earth so that we can bring others to the faith if it's God's will. Not only are these beautiful inspirations, but also a call to Christians to reflect back on the purpose for which we were created. It's a time to ask our Holy Mother to pray for us. A time to commit to the Holy Rosary. And a time to help God's people who are in need of our help. Let's us pray for those who don't believe in Our Lady for much we have been given freely by our Lord Jesus Christ and so much is expected of us. Father vincent ferrer I pray u to make my mighty awake from deep sleep since 15days du eo a small incident .... my sister never b healed in her life time vthout mighty. V our family weeping for our kid to return back to live on earth...pls sir v beg u for our 4 1/2 years kid pls make it possible in the name of christ to glory miracle of god. Dear Lord, I now know why my soulmate and best friend had to pass away even after the father miraculously kept appearing to reassure me that he healed her and that she would be ok. This is because she and I are one and united in marriage till death do us part. Now through the power of the resurrection given to Saint Vincent Ferrer we will be reunited in life to serve you for eternity as she is a blessing from God, reunited to fulfill our destiny as God's warrior. This great pain and suffering was necessary for me to learn to appreciate the great gift that you gave us. Dear Jesus, as the recurring nightmares last year had warned me of her passing, the final heavenly dream let me know of her resurrection and your assurance that everything is going to be alright. 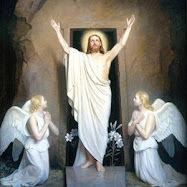 Crist is the Life and the Resurrection, we are ready to receive Your goodness, In the name of the Father, The Son and the Holy Spirit, Amen. Father vincent ferrer please ask God to bring my brother back to life, Dear Lord please bring my younger brother shakeel amjad back to life on earth and live with us as usual he living, died last 18 days ago on Road accident as on 4 may 2017 he was just 22 years old. please bring my brother back in name of the Father and of the Son and of the Holy Spirit amen. i'll wait forever for my brother with hope of God. with will of God amen. please someone tell me. when i receive my answer??? St Vincent I ask for your prayers please. I ask that you intercede on behalf of myself and my family and pray and ask of the Holy Trinity for Divine Intervention on 6/22 for the hoop to fall on the floor. Not on anyone, just the floor. Please pray. Please ask God to spare my child's life and bring him back to us, whole and unharmed. Thank you for your help.